Born into a family of Polish gentry in Zamoć, Lublin Province (now Zamosc, Poland) on 7th July 1881 Olga Ivanovna (or Yanovna) Malitskaya became an anarchist communist in the late 1890s. With her partner Nikolai Rogdaev, (see his biography here at libcom) she took a leading role in the creation of the first anarchist communist groups both in exile and in Russia. She became a member of the Khleb I Volya (Bread and Freedom) group of anarchist communists in Geneva and then with Rogdaev and Vladimir Zabrezhnev undertook underground work in Russia in March 1905. She was arrested there in April 1905 and imprisoned in the Lukyanovsky prison. She was not released until October, with an amnesty. She then went as an emissary of the Geneva group to found new anarchist communist groups in Ryazan, Sormovo and Nizhny Novgorod in 1906. Arrested in April 1906 at Sormovo she was tried at the Moscow court of justice and sentenced on November 3rd of that year to two years imprisonment. She returned to exile in mid 1908, working on the editorial board of Burevestnik (Stormy Petrel) in Geneva. In 1911 the Okhrana, the Tsarist secret police, noted that she was in Toulouse. She attended many anarchist conferences whilst in exile. With the outbreak of the Revolution in 1917 she returned to Russia and was active in the anarchist movement in Russia and then in Samara. In 1932 she and Rogdaev were in exile in Tashkent. With his death she returned to Moscow and worked as a manager of a library in Factory Number 20. She was arrested on 21st August 1937. 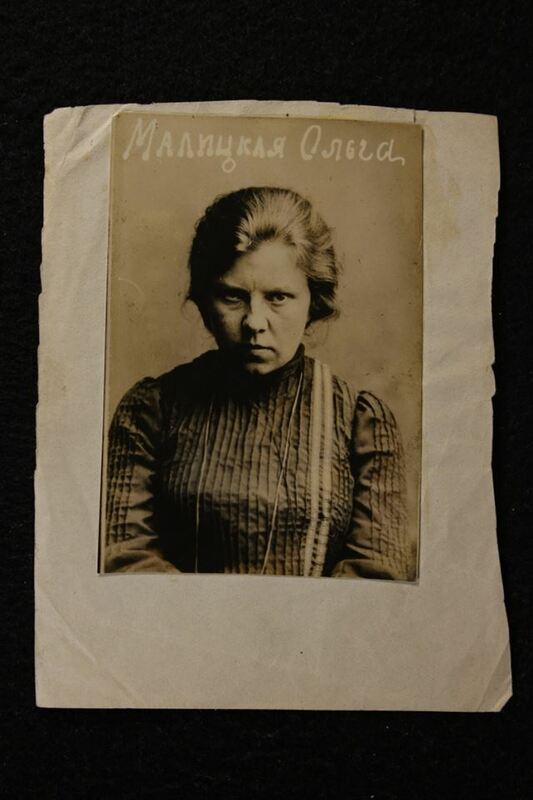 On September 23rd of that year she was sentenced to death by an NKVD troika and shot on the same day.